Early this morning, Blizzard revealed Hearthstone's next big balance patch out of nowhere. This is a big one, so Shacknews is here to analyze all of the Update 13.1 nerfs and changes. Update: The title of this post has been changed to reflect that these changes are for Update 13.0.3, not 13.1. For those just waking up, you might have noticed that Blizzard was up late on Tuesday night. As the clock approached midnight, the publisher released information on Hearthstone's latest balance patch, which takes a whack at a handful of current meta staples. That patch is set to take effect just a couple of hours following this post that you're reading right now. This is not a small patch, either. As noted, the latest Hearthstone patch will assuredly shake up both the Standard and Wild metas as the community knows them. While the Rastakhan's Rumble cards themselves are only two weeks old, Blizzard didn't hesitate to take the nerf bat to a handful of other cards that are helping define popular deck types. Shacknews is here to break down exactly what's going on, so let's analyze the big changes and how it'll affect Hearthstone going forward. Blizzard explanation: Wild Growth and Nourish have been present in every mid-range, combo, and control Druid deck since their introduction in the Basic and Classic set. When cards from the Basic and Classic set are too powerful, they can have negative long-term effects on the game. Continuously playing against these cards can start to feel repetitive, and they can feel so mandatory that they stifle creative deckbuilding decisions. By increasing the mana cost of both cards by one, we expect them to be considerations in late-game control Druid decks, but more difficult to fit in strategies that don’t directly take advantage of ramping mana. Shacknews analysis: In theory, this kills off the Ramp Druid archetype for the early game. Wild Growth will almost certainly prove too slow for the current meta and will likely be put out to pasture. It'll likely be replaced by Greedy Sprite or desperate Ramp Druids will use Biology Project and live with the trade-off. Because of its utility uses, Nourish remains a useful tool. Drawing three cards is far too valuable for Standard Togwaggle and Malygos decks and for Wild Jade decks. I wouldn't expect Nourish to go anywhere and the cost will feel negligable by the time the game hits Turn 10. Blizzard explanation: Odd Paladin has consistently been one of the most powerful and most played decks since its introduction in The Witchwood. By removing Level Up from Odd Paladin, we still expect it to be a competitive board control deck, just with more consistent damage output that should be easier to play around. Level Up! was the bedrock of the Odd Paladin deck, as the upgraded Paladin Hero Power meant that, at worst, a Paladin player could upgrade two Silver Hand Recruits to 3/3 Taunt minions in a single turn. That's all gone now and it's not coming back, which destroys the deck beyond repair. While Paladin players have decent odd minion options, it's the Silver Hand Recruit synergy that made it such a threat and that threat is no longer there. If you think this simply makes Even Paladin a threat again, think again. All of the Silver Hand Recruit syngergy cards, like Lost in the Jungle and Vinecleaver in Standard and Muster for Battle and Stand Against Darkness in Wild, are all odd. Only Drygulch Jailor is an even card. And for 6 mana, at that point the play is Sunkeeper Tarim anyway. That makes Level Up! a dead card going forward. Blizzard explanation: Shudderwock brings an interesting combo to the table, but playing Shudderwock multiple times in a single game can be frustrating. Changing Saronite Chain Gang makes playing multiple Shudderwocks in a game much more difficult. Shudderwock should now exist as a powerful one-turn effect rather than constantly copying itself with Saronite Chain Gang's Battlecry. That doesn't have quite the same ring to it, in more ways than one. This kills the Shudderwock Shaman in its current state. But is it a dead card? Hey, let's not go crazy now. 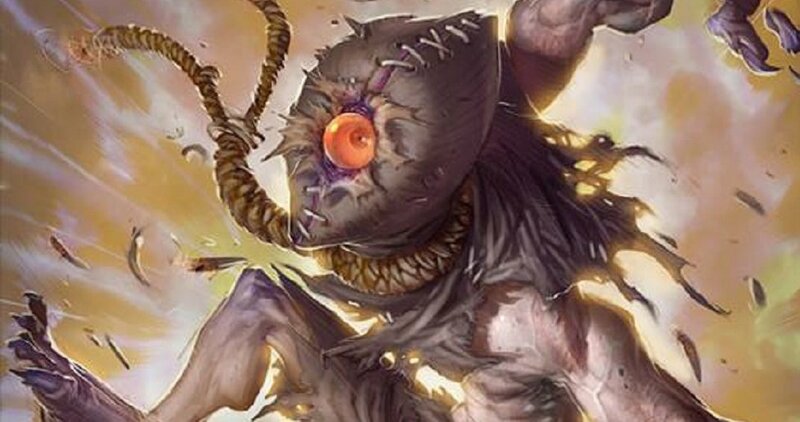 What this change means is that Shudderwock will no longer copy itself with the Saronite Chain Gang effect. It means that it'll create another Saronite Chain Gang copy instead. What this means is that Shudderwock players will have to be a little more clever with how they play this card. There are still dozens of debilitating Battlecries out there that can end the game in one or two turns. The new Bog Slosher is something to watch out for, especially if it gets discounted and can get played on the same turn as Shudderwock. Don't expect to see Shudderwock dominate like it used to, but it's still a dangerous Legendary and should not be taken lightly. How about the other decks that use Saronite Chain Gang to great effect? Don't look for this to deter the Zoo Warlock player. Having one big Taunt body and one little Taunt body doesn't matter, since the objective of that deck is to win the numbers game. Will cost 1 mana. (Down from 2). Now reads: Give your weapon Lifesteal this turn. 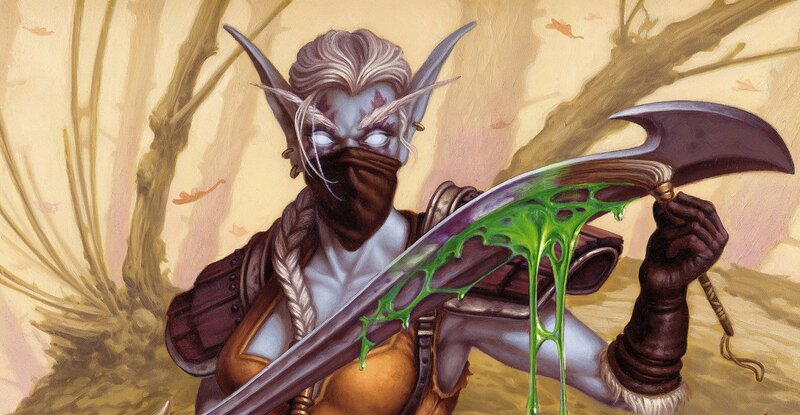 Blizzard explanation: We love the fantasy of building a powerful weapon over the course of a game with Kingsbane, but granting it a permanent Lifesteal effect with Leeching Poison resulted in an endgame with few weaknesses, as well as conflicting with our philosophy that Rogues should not have persistent self-healing effects. Making the Lifesteal effect only active for one turn should address some of the power level issues with Kingsbane Rogue’s late game. Shacknews analysis: Kingsbane Rogues made a fierce push with the Rastakhan's Rumble expansion. Just two weeks into this meta and it already looks like Blizzard's seen enough, bopping the Kingsbane Rogue's biggest tool. Leeching Poison's Lifesteal effect made the Rogue practically immortal, with only weapon destruction trickery, a full board, or freeze effects able to stop it. The Kingsbane Rogue remains dangerous, thanks to numerous tools that can make its attack value astronomical. But without its healing effect for the whole game, the deck is much more vulnerable than it was before. What are your thoughts on these changes? Join the conversation and let us know how this upcoming patch is going to affect your decks moving forward. Look for Hearthstone's Update 13.1 patch to arrive later today.